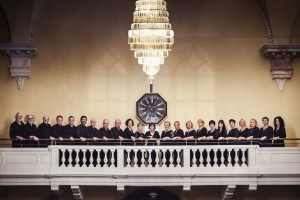 Waterford based chamber choir Madrigallery was founded in 1991 by Jennifer Long. 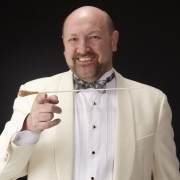 In 1995 Kevin O’Carroll was appointed as Musical Director and principal conductor, a post he continues to hold. Over the years, the choir has moved from its original aim of providing private summertime entertainment singing madrigals to becoming one of the leading choirs in the South East. The range of material covered by the choir extends from polyphonic writing of the 16th Century through to modern works written especially for Madrigallery. These modern works include pieces by Eric Sweeney, Marion Ingoldsby, Greg Scanlon and Colin Mawby. For many years, the choir partook of the competition circuit – winning numerous awards along the way. Though no longer competing in formal competition, the choir has received many awards for ‘Best Concert’ or ‘Best Choir’ from south-east based arts critics. 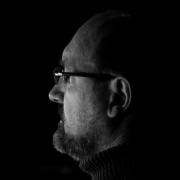 Kevin started working with the Wexford Festival Singers in January 2014. This community choir, established in 1965, have had a long tradition of performing major works from the canon. Under Kevin’s direction they have performed ‘Sparrow Mass‘ – Mozart Magnificat – John Rutter, A German Requiem – Johannes Brahms, Mass in D – Dvorak, Requiem – Mozart, Messe Solennelle – Gounod and in 2018 performed Jubilate Deo by Dan Forrest. Founded in 2017 by Joe O’Beirne, Lynn Cahill and Liz O’Mahony Notable Works is a Waterford based choir whose aim is to sing large scale orchestral choral works. Their first choice for performance was Messiah by G.F. Handel. Accompanied by instrumentalists from Musici Ireland led by David O’Doherty, concerts were held in Waterford and Kilkenny. In Spring 2018 they joined with Wexford Festival Singers for a performance of Requiem by G. Fauré. Concerts were held in Waterford and Wexford. Kevin O’Carroll has been their conductor from the start.